Arrival to Sofia Airport. Transfer to the hotel. Dinner. Overnight. Breakfast. Walking tour in the center of Sofia – 2,5 h. Departure to the village of Yagodina. Light lunch on the way. Accomodation in family runned hotel. Dinner with home made local specialties. Overnight. You will visit the magnificent Yagoidna cave, one of the most famous and most-visited caves in Bulgaria. 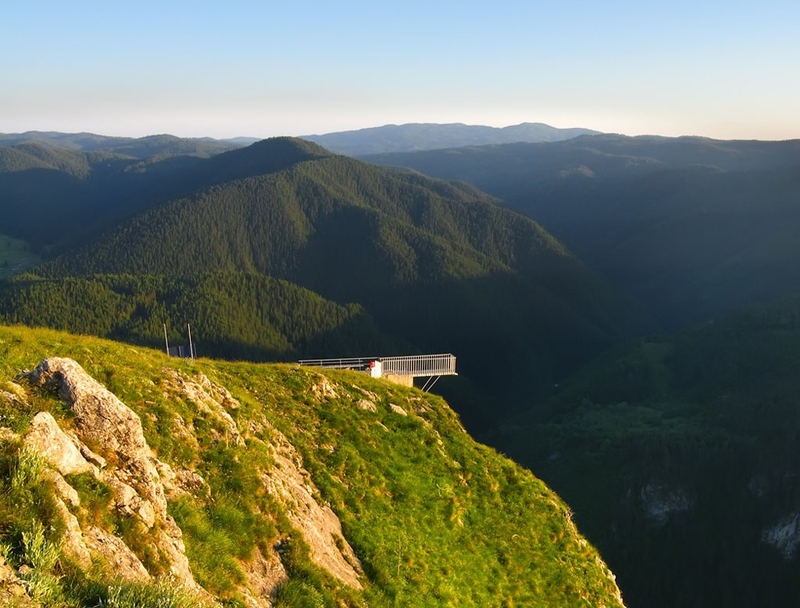 Its galleries extend to a length of 8,501 meters, which makes it the 4th longest cave in Bulgaria and the longest in the Rhodopes. The Yagodina Cave is a multi-level complex, primarily marble. The lowest level has been developed, but the cave has another two connected levels. The tourist route enters and exits through two artificial openings. The cave’s natural mouth is a kilometer farther down the Buynovo River, where artifacts from the Neolothic Age (both the Stone Age and the Bronze Age) have been discovered. Among these finds are earthenware plates, work implements, and an earthenware oven. Studies have shown that the master potters lived in this region collected clay from the cave. After the cave mouth was excavated and restored, it was turned into a museum exhibit. The visit is avaible for unexperienced tourists and children. OptIon: extreme guided route in the unlit part of the cave. There are two routes of varying difficulty to overcome: the first one (6 hrs) is a bit harder and has more obstacles than the second, but is preferred by tourists because of the sharper emotions. The second transition ( 3 hrs) is easier, but gives the opportunity to observe the cave, which will charm you with its beauty. The cave’s entrance resembles a devil’s head, and down its throat rushes a massive waterfall that from ancient times has captivated imaginations and given birth to numerous legends. The most popular of these is that Orpheus descended down this orifice to the subterranean kingdom of Hades, to seek his lost love Eurydice. The cave descends straight down without branching in either direction. The water from the Trigrad River falls from a height of 42 meters down the cave’ “throat”, making it the highest underground waterfall on the Balkan Peninsula. Because of the muffled roar of the waterfall, the cavern into which it falls is known as The Hall of Thunder. It is enormous – the second larges cavern in Bulgaria. Roughly 400 meters from the entrance the water disappears down a funnel. This funnel is more than 150 meters deep, and when it emerges from the funnel into another cavern about 60 meters long, the underground river exits the cave and flows out among the mountain peaks through another cave. Breakfast. Departure to Plovdiv. Plovdiv is one of the oldest cities in Europe – the beginning of its history dates back to 4,000 years BC. The visit of Plovdiv includes 2 parts : “On the Roman Path” and the visit of the Old town of the city. The walking includes the Roman Forum and the Odeon. The ancient Odeon has 300-350 seats and served as a domicile of the City Council in Philipopolis. The antique stadium in Plovdiv was built according to the model of the Delphi Stadium – only 12 of this kind are preserved in the world. It is approximately 200 meters long. The Antique Theater in Plovdiv is situated in the Old Town. The Roman Theatre was built in the beginning of the 2nd century AD during the ruling of Emperor Trayan (98 – 117 AD). It is one of the best preserved antique theaters in the world. This antique theater was used to accommodate 5 to 7 thousand viewers. Ancient Plovdiv Architectural Reserve (the Old Town) is a well-preserved complex where on a relatively small area visitors can take walks through different historical ages, see ancient buildings adapted to the modern way of life and feel the spirit of the town from the Bulgarian Revival Period. Dinner and overnight. Free time for lunch. Check in the hotel. Dinner. Overnight. Breakfast. Departure to Sofıa Aırport.